Lush Fab Glam Inspired Lifestyle For The Modern Woman: ﻿Bored of Lip Gloss and Lip Sticks? Try Polka Dots, Cherry and even Leopard Temporary Lip Tattoos! ﻿Bored of Lip Gloss and Lip Sticks? Try Polka Dots, Cherry and even Leopard Temporary Lip Tattoos! Can the next beauty craze be temporary lip tattoos like the ones created by Violent Lips? 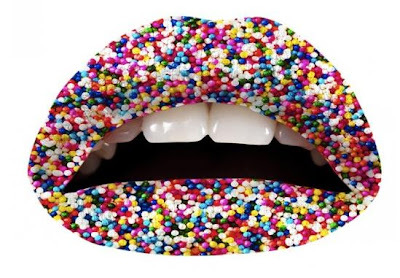 The company which launched only four months ago has already secured a collaboration with the Sugar Factory, to expand beyond their polka dot, hearts, flags and words lip tattoos to create five new candy inspired designs that include lips covered in candy and cherries. Violent Lips temporary lip tattoos range in price from $9.99 to $14.95 and will be available in U.S and Canadian Sephora stores this September. The Sugar Factory collection which cost $15.95 can be purchased at their online store. 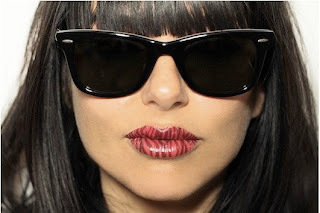 Take a look at a few photos of Violent Lips' temporary lip tattoos below as well as a video tutorial on how to apply them. Violent Lips' + Sugar Factory's Cherry lip tattoo. 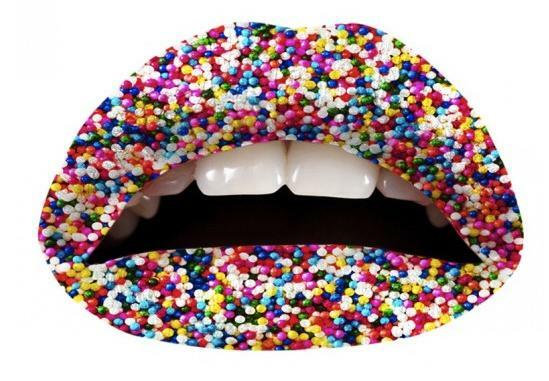 Violent Lips' + Sugar Factory's Candy lip tattoo. Violent Lips' Animal stripe lip tattoo. 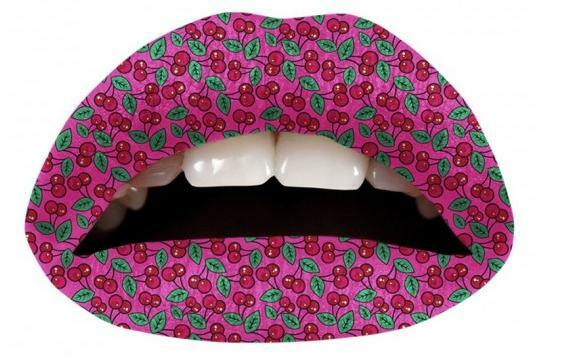 Would you try Violent Lips' temporary lip tattoos? Leave a comment below. I'm trying this when it gets to Sephora. Great for halloween or a costume ball.